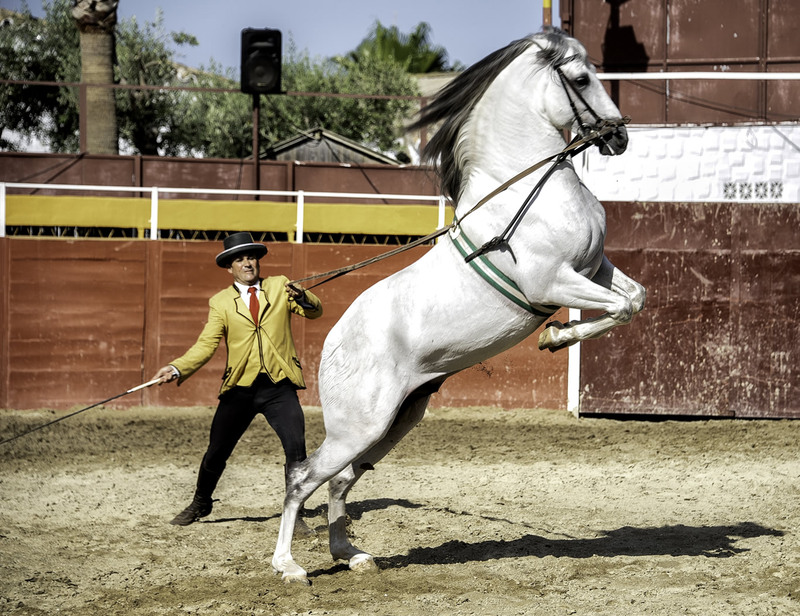 At 18:00 A great equestrian show led by Salvador Sanchez with more than 15 spectacular Cartujanos horses in more than 6 numbers: High school dressage, Amazona, sevillanas and alegrías between horse and bailaora, a cobra (handling of mares linked to each other), tandem, doma vaquera with garrocha etc. 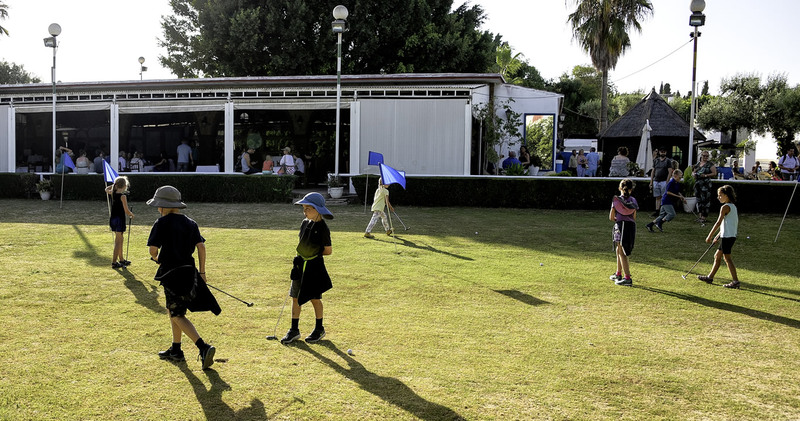 You can also play minigolf for free or have a beer or a refreshment in our terrace bar. 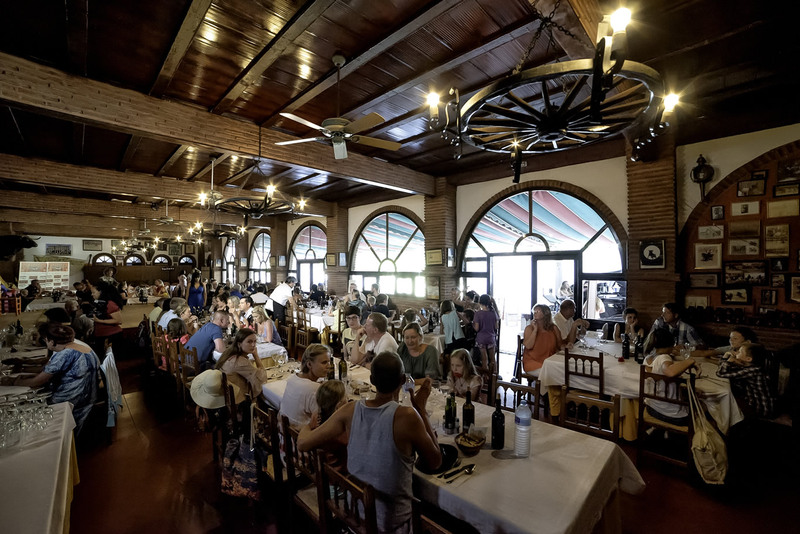 At 19:45 opens the doors of our restaurant in the trophy room of the Sanchez family. 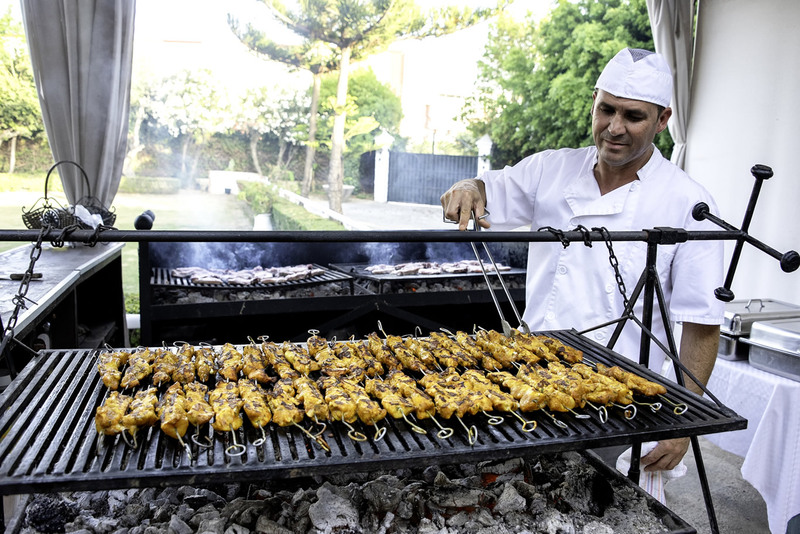 A dinner with homemade ingredients and barbecue, ice cream and wines or softdirnks will be served. 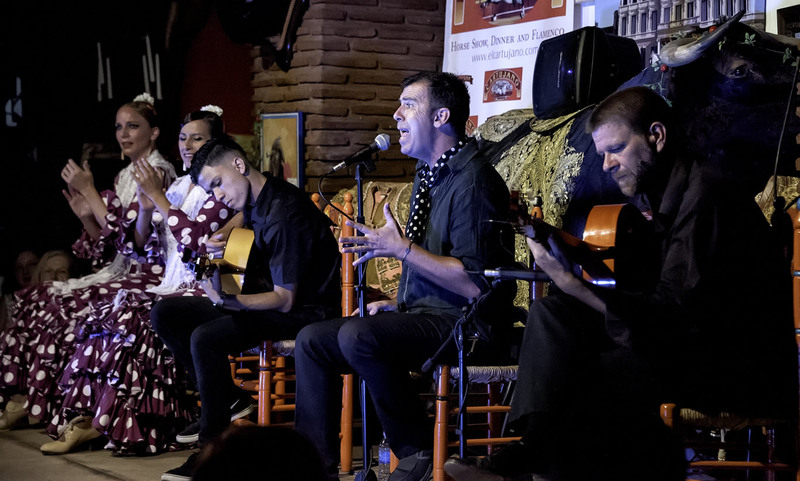 At 21:30 The lights go out and the fabulous flamenco show begins: Cantaor, guitarist and two bailaoras will perform around 55 minutes: Soleas, alegrías, fandangos, sevillanas or guajiras will delight our customers to finish all, including the most valiant customers, dancing rumbas. 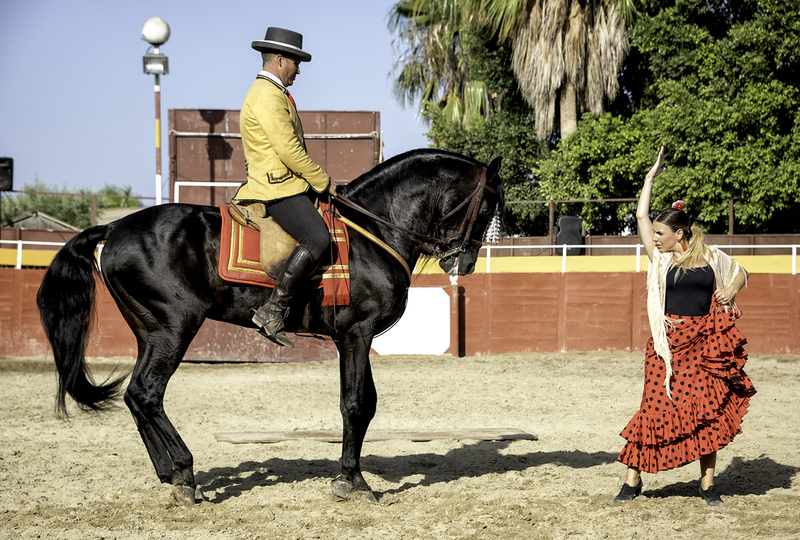 All ages are welcome, even the youngest ones who enjoy the farm playing mini-golf or visiting the stables while their parents enjoy the table or a beer listening to the sound of the Andalusian countryside. And Forget Your Car !!! 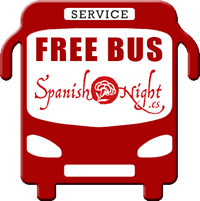 We have free bus !!! 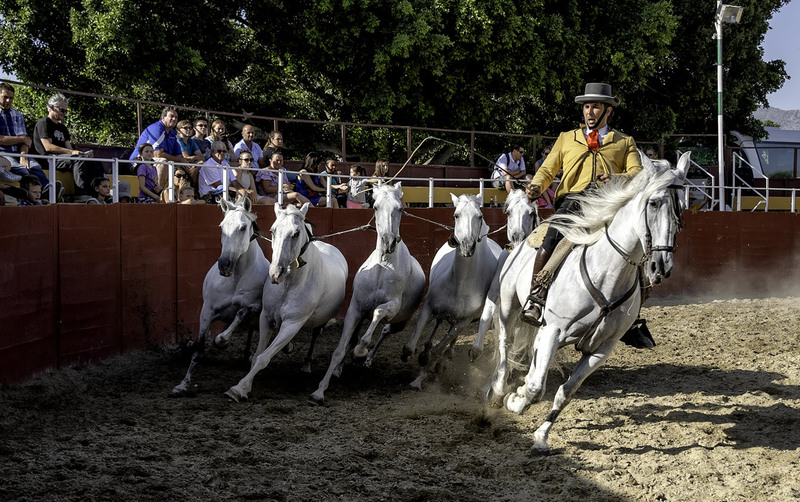 Our horses are born, raised and tamed exclusively by the family, thus obtaining horses of great beauty, nobility and elegance so characteristic of the Cartujano horse. 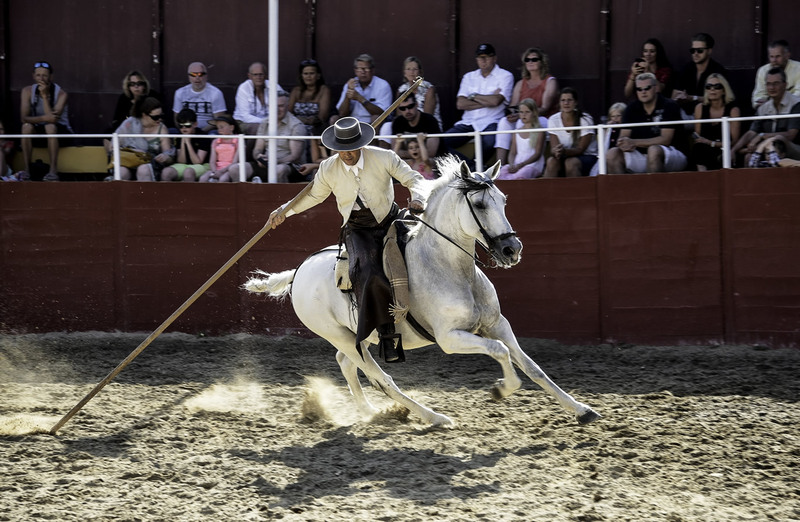 Enjoy the great show of Spanish pure race horses "Fantasías" with choreographies of the highest level. 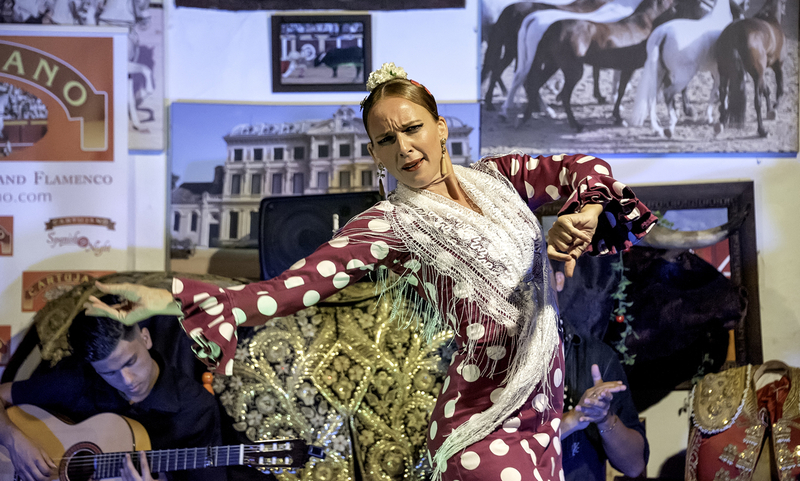 Complete your evening with a BBQ and an authentic Flamenco show. 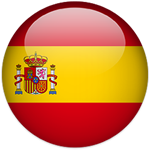 Come and discover the magic of Andalusia in the Andalusian country house "El Cartujano".